The frequency generated by the capacitance measuring circuit is between 1 and 10 kHz for the capacitances that we are measuring. 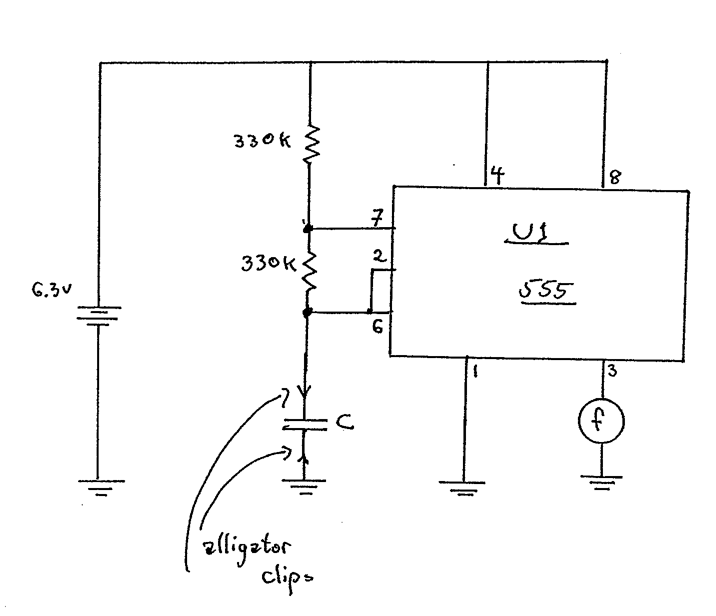 At the AP Summer Institute, Patrick Polley suggested driving a speaker with this circuit. I had some time after school yesterday, so I added an NPN transistor to the circuit since the 555 doesn’t provide enough current to drive a speaker. Today at the start of class, I shared the modified circuit with my students. As students pressed on the parallel plate capacitor, the generated tone changed; it became a simple musical instrument! 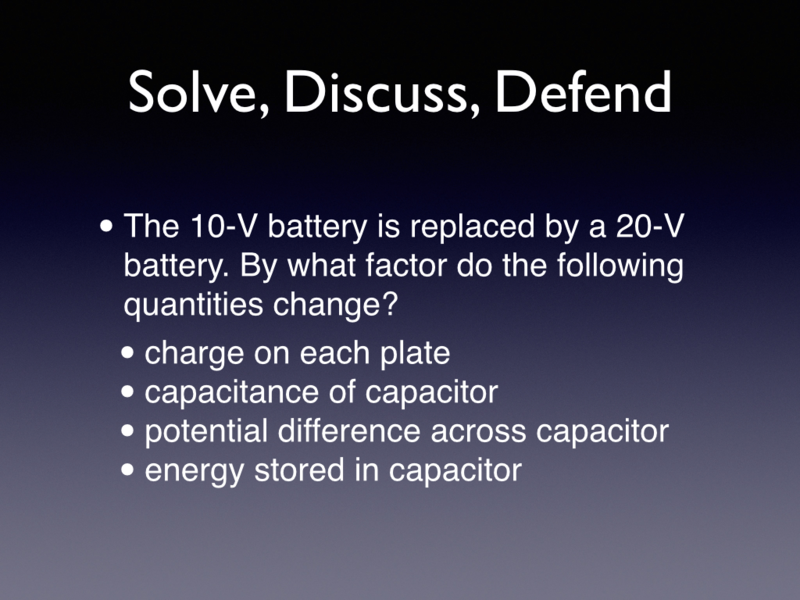 Today in AP Physics 2, we discussed the results of the capacitor paradigm lab. 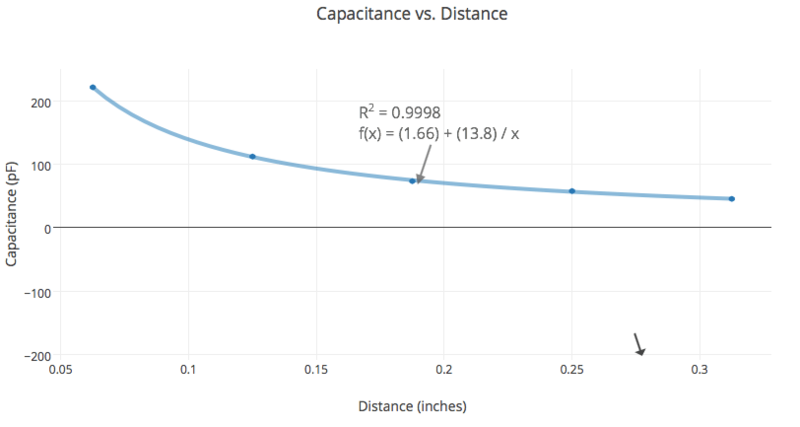 The graphs clearly showed an inverse relationship between capacitance and distance. The plot of capacitance vs. area was linear, but not as good a fit. 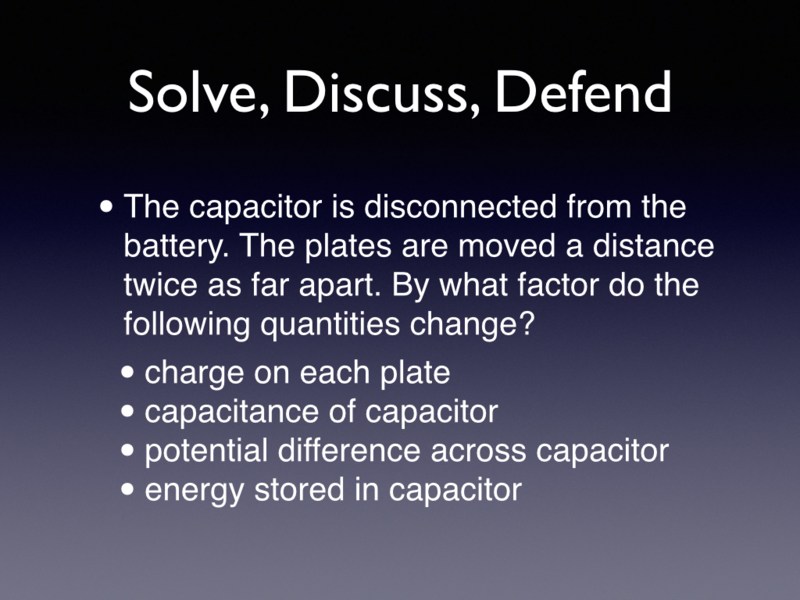 The most thought-provoking follow-up question was after the last slide when I asked if the stored energy in the capacitor doubled, where did the energy come from? Today, AP Physics 2 students completed the capacitor paradigm lab. 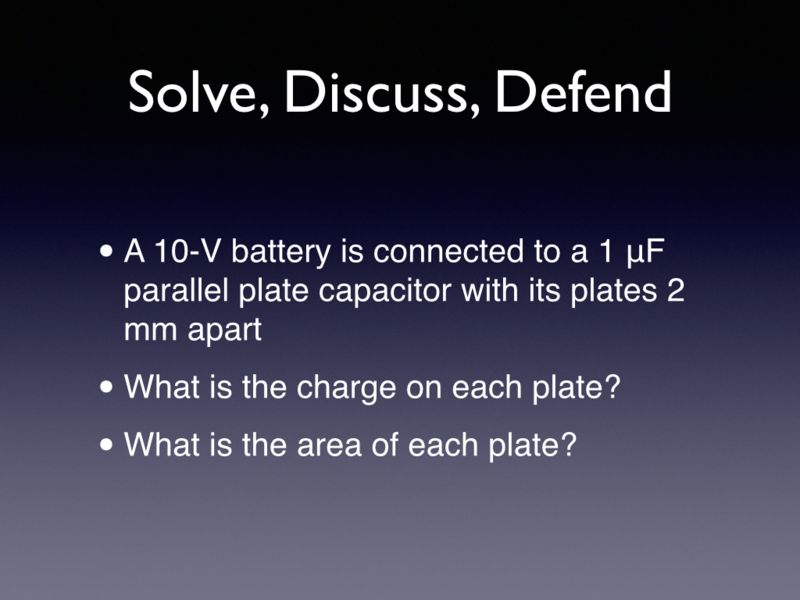 The defined the purpose as to graphically and mathematically model the relationship between capacitance, area, and plate separation. They wanted to try different materials between the plates, but I only had acrylic available. I’ll try to get other materials for next year. 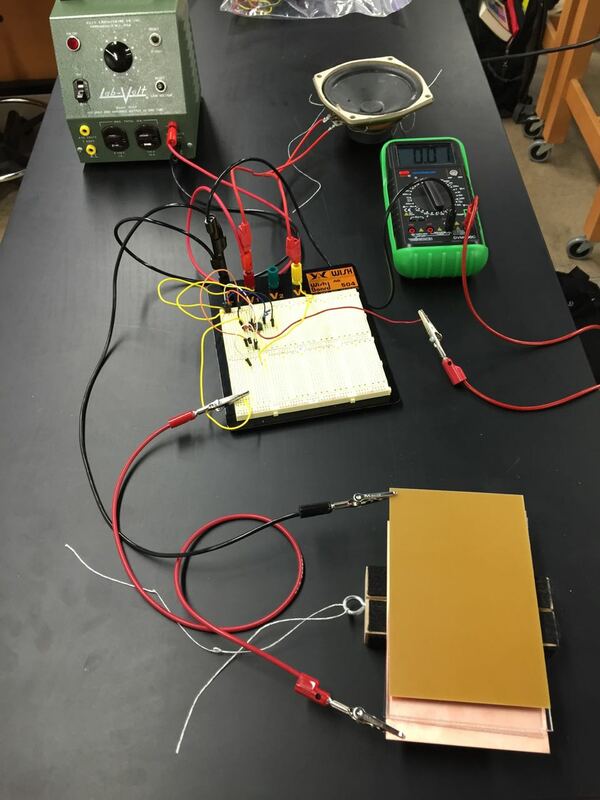 Students used their best-fit-line equation from yesterday to measure the capacitance of the capacitors that they constructed from copper-clad circuit boards and acrylic. Today, AP Physics 2 students quickly reconstructed the circuit from yesterday. Since the internal capacitance of this circuit is on the order of the capacitance of the parallel plate capacitors that they will build. Therefore, it is important to characterize this circuit to determine this internal capacitance. Characterizing the measurement apparatus is emerging as a theme in our labs. Students performed a similar characterization in the heat engine lab to determine the volume of the gas. 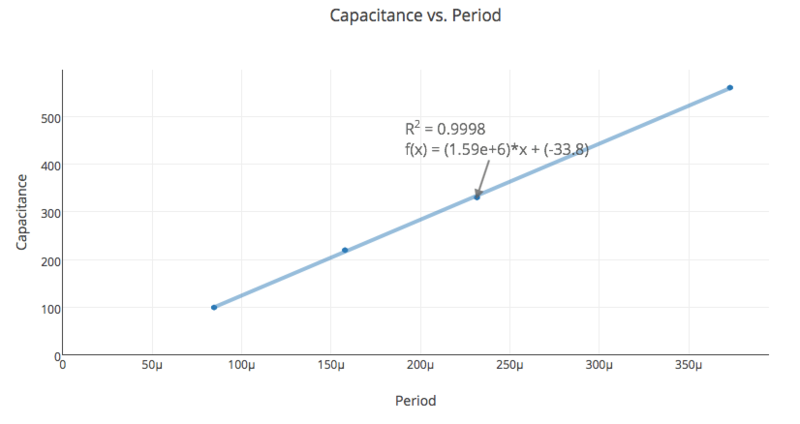 In this case, students plotted capacitance vs. period and examined the intercept to determine the internal capacitance. 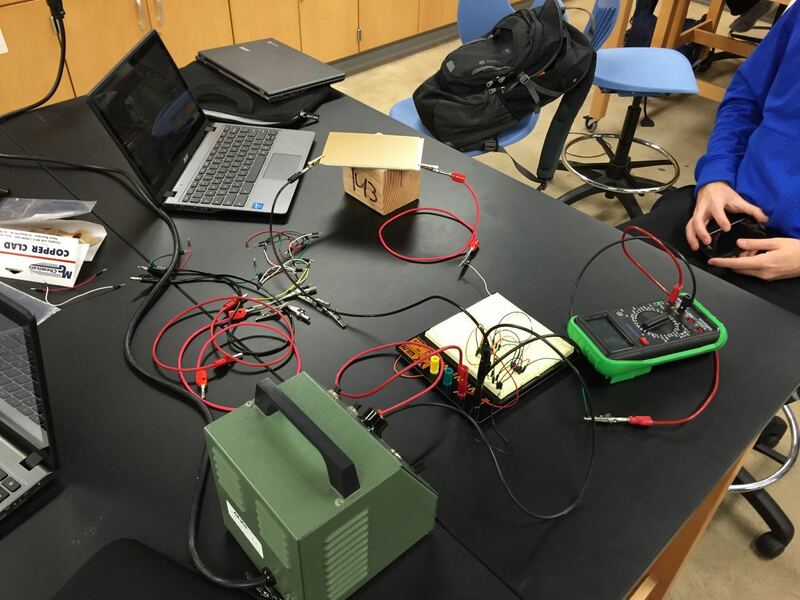 Today, AP Physics 2 students completed the Mapping Electric Potential Lab from Vernier’s Advanced Physics Beyond Mechanics lab manual. 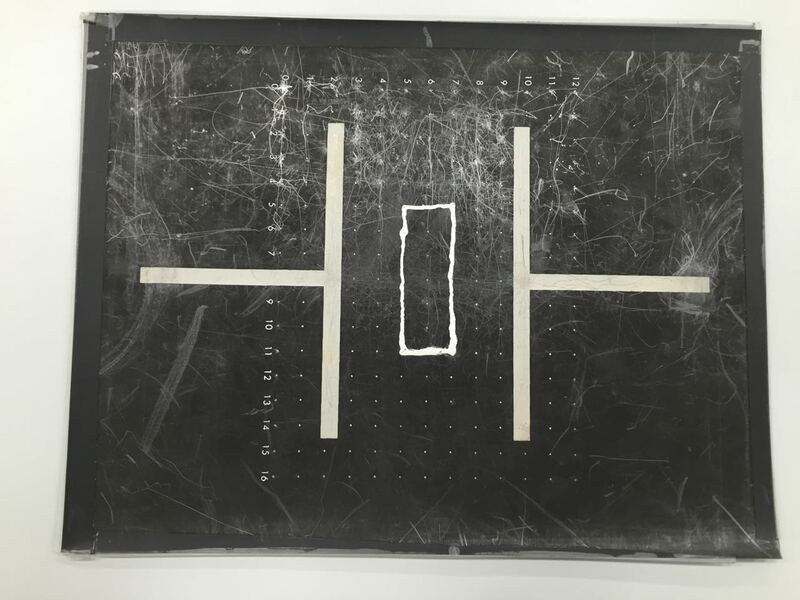 I purchased a conductive pen this year and modified on of the conductive sheets with parallel plates to include a closed conducting surface in the middle of the sheet. 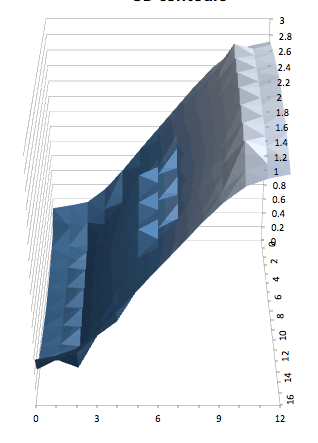 The 3D and 2D potential plots captured by the students look excellent. I’m especially interested in how the one with the closed conducting surface looks.